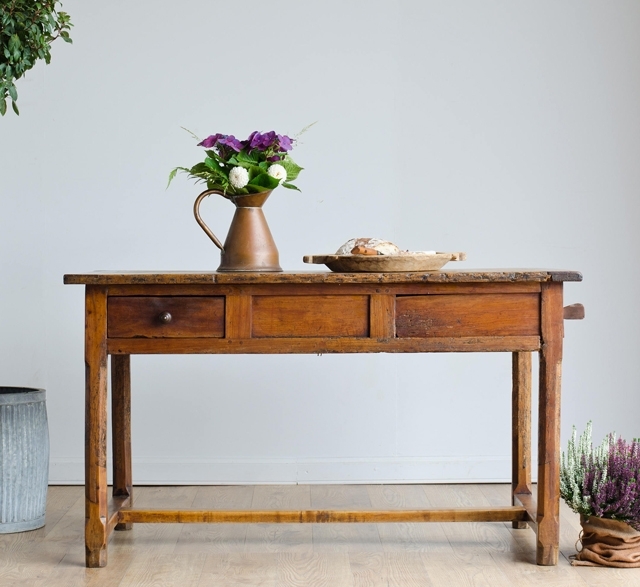 Late 18th-century / early 19th-century fruitwood antique farmhouse table, sourced from Touraine. It features a drawer on one side and on the other, a hidden storage compartment that can be opened with a pull-out handle. Table comes with a 49.5 cm extension.